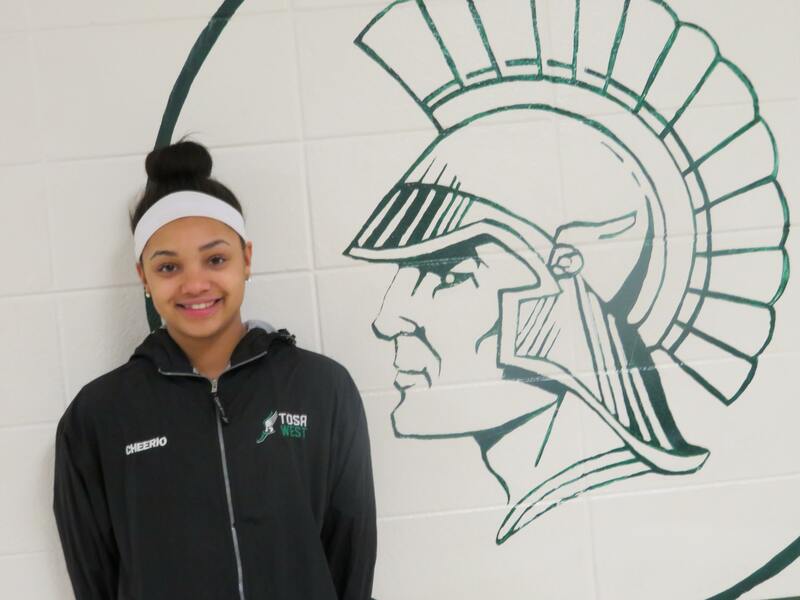 If Wauwatosa West's Cheri'A Adams can start as well as she finishes this season, the senior sprinter will make life even more miserable for Trojans' opponents. Adams, who will participate in the triple jump, will also run the 100 meters, 200 meters and the 4x100 relay. Coach Jack Lopresti said she will also take part in the 2x100 relay at times. Adams talked about what she needs to work on this season. "I have to work on my blocks," she said. "They're not explosive. I guess I don't have a good push off. There's a starting mark that you want to hit and I'm usually behind it. I got better last year." If Adams continues to show that improvement in her starts, because of her strengths, she will be even more effective. "My acceleration throughout the race is my strength, she said. "I don't have such a good start, so I catch up by accelerating." "She has tremendous speed and a tremendous desire to improve." He has a major goal in mind when it comes to his star athlete. "The thing we will be working on with her all season will be maintaining her health, keeping her healthy," the veteran coach said. "Taking care of her body. Knowing when to push and when she kind of relaxes it. Then she gets the best result." Results is something that Adams have been successful at in her career, having made three trips to the state meet in her first three seasons. Here's a look at her history. As a freshman, Cheri'A finished second in the 4x100 (48.56 seconds) along with Briana Horton, Mercy Ndon and Azya McLin. They also qualified for state in the 4x200, finishing 15th. As a sophomore, she was part of the winning 4x100 (48.61) with McLin, Ndon, and Horton. They were also fifth in the 4x200 (1:42.91) and she qualified in the triple jump and the 200. Last season at state she was part of the winning 4x100 relay (47.91) with McLin, Ndon and sophomore Breanna Weigman. She was part of the fifth-place 4x200 relay with McLin, Ndon and Horton. She was also eighth in the triple jump (36-11.5) and 10th in the 100 (12.85). This season the Trojans will lean on their captain a lot. "She will take part in the 100, 200, triple jump and a couple different relays (4x100, 4x200)," Lopresti said. "We will move Cheri'A around during the course of the season." Adams likes the 100 and 200, but favors the later. "I like both of them, obviously, but in the 200 I feel I'm more relaxed and I can increase my speed more," she said. "But the 1 is more faster. The 200 I like because it's so fast. My blocks aren't too good, so I kind of catch up. Also in the 100 you have a pre (preliminary) and a final, but in the 2 you don't." She also enjoys the triple jump. "I like the triple," she said. "I stopped doing long (jump) to do the triple. All my friends were doing it. I just really like the triple." Lopresti can't say enough good things about Adams. "She is a hard worker, a talented sprinter with a great attitude, a team player. And she loves to compete. She loves the sport. She is just an excellent track and field athlete." That shouldn't be surprising since Adams has been running since she was 5 years old in the AAU program with the Joe Sim's Milwaukee Striders, something she is still a part of. Her mother, Cheryl Torrence, ran in the club and got Cheri'A involved. "It kept me busy during the summer months," Adams recalled. "Then I just started getting better and better, so I just stuck with it." Cheri'A used her success in AAU in her prep career at Tosa West. "It just motivates me," she said. "If we're going into conference, I won it last year, I want to win it again." Her experience at state helped her every season. "It does kind of help," she said. "How things are run, how much time you kind of have - especially because you don't have a lot of warm-up time. Because I did four events, I kind of had to time myself." The state crowd, which intimidates some athletes on the big platform, didn't bother Adams. "The crowd was actually kind of small compared to nationals for AAU," she pointed out. 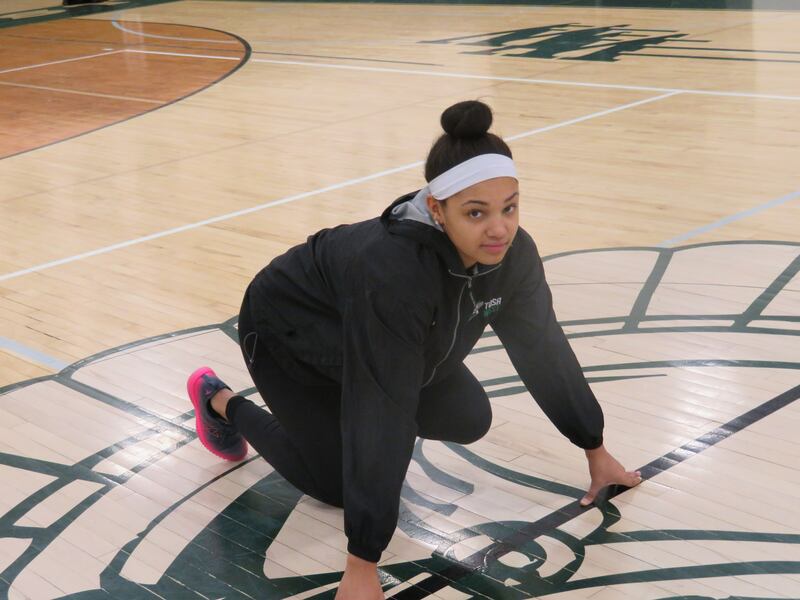 Cheri'A showed her versatility at Tosa West by also playing basketball, making the varsity the past two seasons. "She was a tremendous leader on and off the court," Trojans first-year coach Gordon Nikolic said. "She was super quick with the ball in her hands, was our best on-the-ball defender and she never got tired. A very positive player, competitive." Basketball - like track - runs in her family. Her father, Taurus Adams, played basketball and football when he was younger, and her brother, Taurus II, is playing basketball at Southern Connecticut State after a fine career at Brown Deer High School. Cheri'A started a few games as a junior on the varsity and got in every game this year. "My dad didn't want me to play," she said. "He just wanted me to do track. But then my mom convinced him so I played basketball in eighth grade at Longfellow." The classy Adams, officially a team captain this year, has always been a leader according to Lopresti. "All four years she's really been a captain," he said. "Just with her work ethic at practice her leadership is awesome. The best thing about her leadership is it's about her running. It's super consistent. She might have a bad day, but you aren't going to hear that from her. She always has a smile on her face." Cheri'A finds leadership something she enjoys and is not afraid to be vocal about it. "I like being a good individual; honest" she said. "We had some freshmen sitting down and I was like 'Hey guys, let's go so we can get our work done.' If it's needed to get things done, I will, otherwise I will let the coaches do it. If there is someone who needs help - like blocks and that type of stuff - I'm ready to help them." When people asked me I was nervous at first. I don't want to say the wrong stuff. But it's nice most of the time unless it's something I don't specialize in. Maybe it's about something in the weight room or sprints and jumps. Then it's pretty easy." Looking back, Cheri'A is happy with her time at Tosa West. "It's been phenomenal, even outside of sports," she said. "School's really good, everyone around here is really nice. In track we did really good." The feeling is mutual for Lopresti. "The very first day I saw her, you could see she had a lot of talent and a lot of work ethic. She doesn’t have a bad race. She's always working hard, but she makes it look easy. She will always give 100 per cent, so to have someone that motivated and that willing it's no wonder what she can do for the track team." Away from the track, she also brings it every day. "Cheri'A is a great person," he said. "So much fun to be around and she rubs off on her teammates and her positive energy is contagious. She has been such a tough consistent runner for us and she has really given our track team a new identity." FAVORITE MOVIE: 'Colombiana' - Action movies. FAVORITE SPORTS RIVALRY: Milwaukee King (Relays). MOST MEMORABLE SPORTS MOMENT: Running 47.81 in 4x100 relay at Arrowhead, the 5th fastest time in state last year. WHAT WOULD YOU LIKE TO DO IN THE FUTURE? Attend Bemidji State in Minnesota, run track and study Pre-Med Bio work work in OBGYN.